An observatory in West Virginia picked up 15 bright radio pulses from a dwarf galaxy, 3 billion light years, earlier this year. The initial results, based on observations carried out by a team of astronomers and astrophysicists, postulate these pulses to have emerged from an unknown source, labelled as FRB 121102. It’s a source of fast radio bursts (FRBs). They were first detected in 2001, and as the name suggests, FRBs are super-fast and really powerful burst of radio signals. But we still have no idea what causes them. It's thrilling to have 15 bursts from apparently the same source, coming with a higher frequency than usual; 7 Gigahertz. 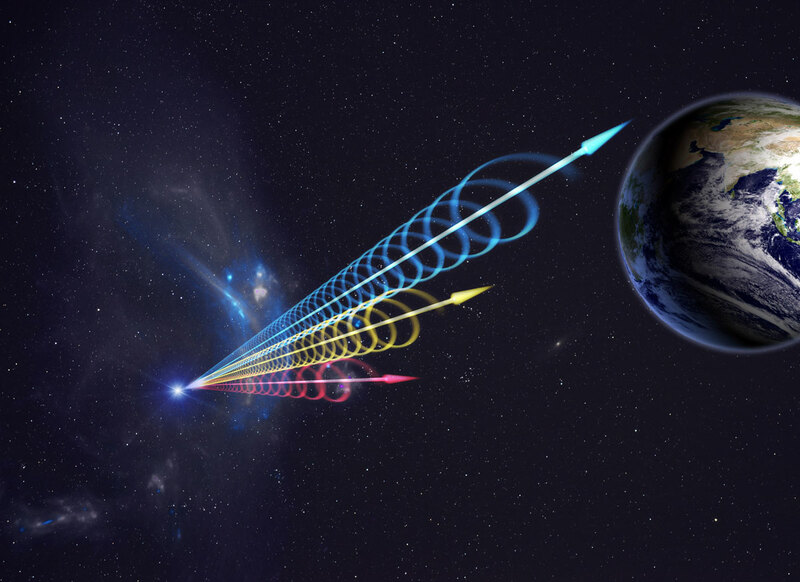 Andrew Siemion, an astrophysicist and director of the Breakthrough Listen program, stated“Bursts from this source have never been seen at this high a frequency”. There are a number of other possible explanations for these repeating bursts, and most of them definitely not include aliens. "With any mystery signal from space comes the inevitable question about extraterrestrial life. At the moment there's no evidence that these are encoded messages or anything like that," Petroff says. "And when dealing with a new phenomenon, the simplest explanations—such as emission from an astrophysical source (and not a spaceship)—are usually the best place to start."